Dr. Peter U.Y. Lee is a member of CRL’s Diagnostic Neuroradiology team on-site at Abbott Northwestern Hospital, CRL Imaging Edina and CRL Imaging Plymouth. 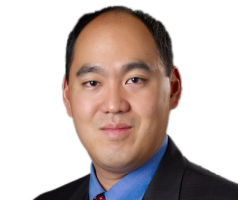 Dr. Lee joins CRL as an experienced and seasoned board-certified radiologist with a CAQ in Neuroradiology from Desert Radiologists in Las Vegas, Nevada.